Are you Looking to Add a Vision System to your production line? Inspect 100% of your product before it ever leaves the factory. Automation & Vision Solutions is here to take on industry problems. We implement solutions consistently, quickly, and accurately using the latest technology. Every system is custom built to suit your process. 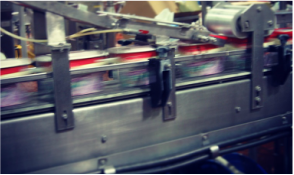 "The vision system caught a lid that didn't identify allergens in the product--saved us from a recall, and payed for itself within the first month"